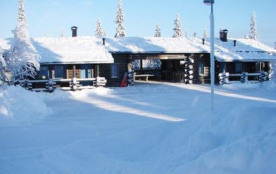 25 km north of Kuusamo, Vuosseli (Eastern Ruka) 400 m, Ruka village (Western Ruka) 4,3 km. 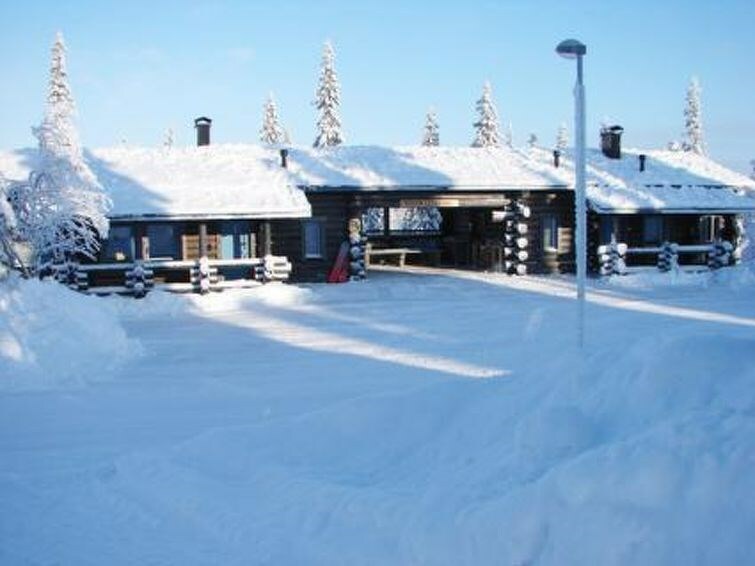 Log-built holiday apartment, built in 2005, bedroom 1: double bed, bedrooms 2-3: 2 beds, loft (21 m², height 160 cm, steep stairs): 3 beds, combined kitchen/living room, electric sauna. Cottage and holiday apartment area on Hissikuja road. Nearest ski lifts Vuosseli III and RukaExpress, nearest restaurant Vuosselin Pirtti. Additional equipment: 2 TVs, karaoke equipment, car shelter. In downstairs owner's own holiday apartment and owner's own storage space. Other distances: Oulanka National Park / Pieni Karhunkierros Trail 28 km, Valtavaara day trip trail 700 m.
Reservations begin at 4 pm (16 o'clock) on arrival day and ends at noon (12 o'clock) on departure day (also during weekends).